50/50 on the Water… Where Do We Stand? MANCHESTER, Vermont – Last summer, Orvis made some big promises about working to promote parity for women in fly fishing. In preparation for the 2018 fishing season, we thought it was time for an update. 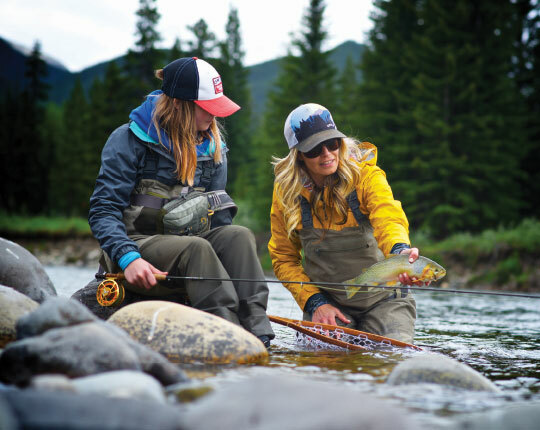 Orvis has committed to making it easier for women to get into the sport, through the creation of women-centric classes, gear, and travel experiences. Women can find it intimidating to try out a sport that is perceived as predominantly for men. 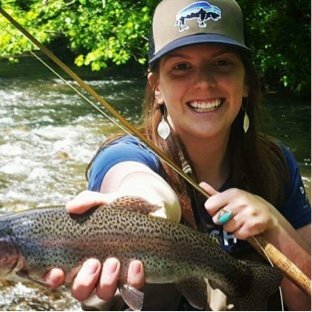 To address this issue, 22 Orvis retail stores and 19 Orvis dealers will be working on a series of classes/events –FF101, FF201, FF301, Fly Tying 101, and others–where women will get the chance to try fly fishing among their own. In addition, Women’s One- and Two-Day Fly Fishing Schools will be offered at Orvis’s Flagship store in Manchester, VT. For those ready to truly get their feet wet, Orvis has created a “Women’s Paradise on the Fly” trip to Belize. A major problem faced by female fly fishers is finding gear and apparel designed for a woman’s body. Orvis addresses this issue with a complete line that won’t make you look like you’ve raided your brother’s closet. Designed and tested by Orvis’s own women anglers, this collection met their critical and discerning standards. In the past eight months, we have worked with traditional fly-fishing media—such as Midcurrent, The Dun, and Hatch— to showcase authentic images and stories of women engaged in the sport. We have also worked to facilitate relationships between mainstream journalists and women anglers, so journalists can learn from the experts about the joys and challenges they face. As a result, articles have appeared in the New York Times, Seattle Times, Virginia News-Observer, Dayton Daily News, and the UK’s Yorkshire Post, among others. Part of the core of the Orvis brand is our commitment to conservation, and each year, the company donates 5% of pre-tax profits to organizations that protect nature. As we bring both men and women into the sport of fly fishing, we also seek to create conservationists and work to teach people the importance of protecting our natural resources. It is our responsibility to protect the natural resources around us so that our children and grandchildren can continue to enjoy them, as we have. We are pleased to report that we are making excellent progress. For more information on classes, gear, or how to set up an event, check out Orvis’s Women on the Water site. Feedback and suggestions are most welcome.